If you are looking for a property management company in São Martinho do Porto the most reliable company we've found is Ennis Property and Project Management who have been serving the region for over 20 years. 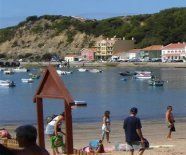 PropertyManagementSaoMartinho.com was launched yesterday to enhance their offer in this locality. months or so to see whether we like it there. around 450 euros including the utilities. Martinho a good base for property hunting?